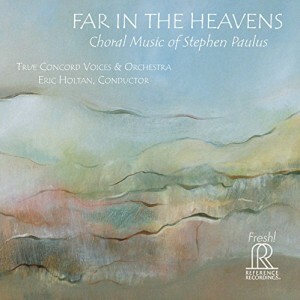 On December 7, the music of Stephen Paulus was recognized by the 58th Annual GRAMMY Award Nominations. Paulus’ choral work Prayers and Remembrances was nominated in two catego ries: “Best Contemporary Classical Composition” & “Best Choral Performance.” Commissioned by the ensemble True Concord Voices and Orchestra (formerly known as Tucson Chamber Artists), the work was premiered on September 11, 2011 as a tenth anniversary memorial of the 9/11 tragedy. In spring 2015, the ensemble recorded the work for Reference Recordings (FR-716). The CD was released on September 11, 2015 when True Concord also presented the New York premiere performance at Lincoln Center’s Alice Tully Hall. 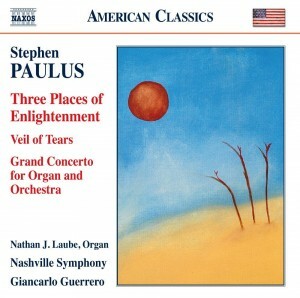 The Nashville Symphony’s disc “Three Places of Enlightenment” (Naxos 8.559740) – conducted by Giancarlo Guerrero – received a Grammy-nod for “Best Classical Compendium.” The collection includes three Paulus’ orchestral works: Concerto for String Quartet and Orchestra (“Three Places of Enlightenment); Veil of Tears, and Grand Concerto (for Organ and Orchestra). Paulus’ music is published by Paulus Publications and is available through Subito Music. 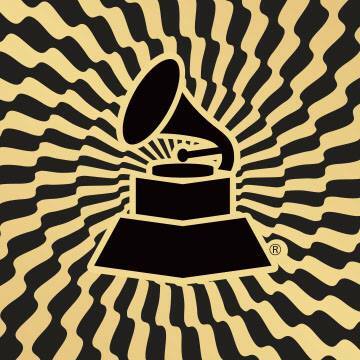 The 58th annual GRAMMYs will air February 15, 2016, on CBS.